Concepts: I make paintings inspired by people's everyday lives in the urban space of cities. The paintings generally arise out of my own visual experience of places and people. I have been interested in the shops, markets and street life around me in London. 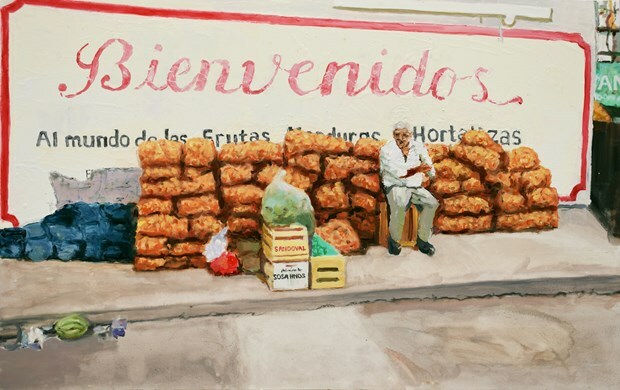 "The Market Paintings" are an ongoing series of paintings of markets around the world, drawing on experience of travelling in Latin America, Europe and India. 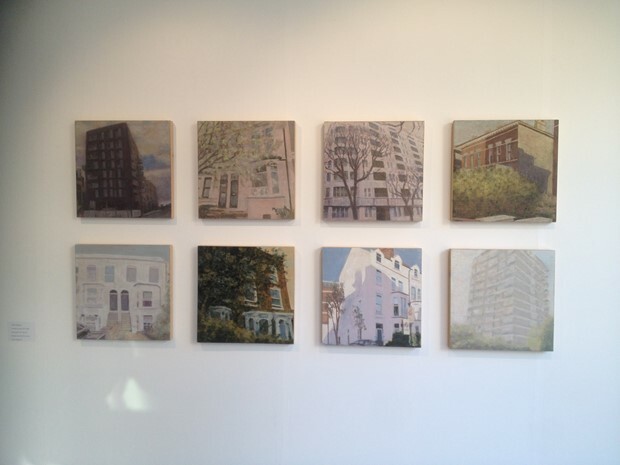 Another strand of work has been a series of paintings of homes in London entitled A Place to Live, inspired by Estate Agent property adverts. In 2015 I undertook a private commission for a triptych painting of Granary Square, King's Cross, London, which generated a series of studies and related drawings and paintings. I also curate exhibitions. IN THE CITY brought together painters whose work reflects their experience of cities across four continents. With artist Marguerite Horner, I co-curated Inner and Outer Worlds at Bermondsey Project Space, London in 2018 and I am currently co-curating with artist Alexandra BaraitserThis instead of That which explores how artists respond to each others' work. Career path: I studied literature at the University of East Anglia. Following this I trained as Assistant Curator at the Norwich Gallery, Norwich School of Art for four years. I set up the Warehouse Artists Studios in Norwich where I based my practice for seven years. During this period I was closely involved with the artist-run studio movement, and worked with the National Artists Association to launch the first Code of Practice for the Visual Arts. I took part in the site specific exhibition, Wholesale in 1996, for which I filled the walls of a former cold store with a decorative cycle of 18 paintings of massed fruit and vegetable produce. In the same year my work was selected for the Kettles Yard Open, and the International Triennial of Painting, Sofia, Bulgaria. In 1997 I moved to Barcelona, studying on the Winchester School of Art MA European Fine Art. During the MA I produced a series of large, figurative paintings exploring the relationships of families and children, which, following my graduation in 1998, were exhibited in a solo exhibition at the Galerie Daniel Wahrenberger, Zurich, Switzerland. In Barcelona I also made a series of work about Castellers, the popular Catalan custom of creating human towers as a street display. The Castellers were exhibited at a solo exhibition at the Galeria Groc in Barcelona and toured in Catalonia. Following my return to the UK in 1999, I developed my current series of work influenced by the urban environment. In 2007 I showed this work in solo exhibitions in Spain in cultural centres in the towns of El Campello, Alicante, and Blanca, Murcia, and at the Liceo de Alicante. 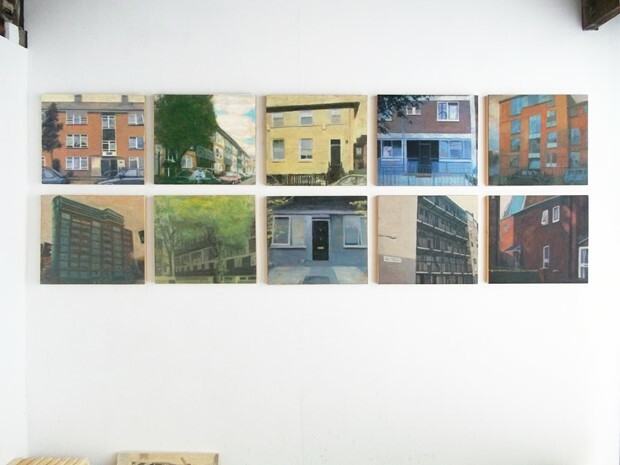 In 2011 six paintings from the series "A Place to Live" were selected by Time Out critic Ossian Ward for The Discerning Eye 2011 at the Mall Galleries, and one of these paintings won The Regional Artist Award for the South East. The artist Eileen Hogan invited me to show more images from the series as part of the 2013 Discerning Eye.15 paintings from the series were shown at the XIV Encounter of Artists, Fundacion Amelia Moreno, Spain in September 2017. 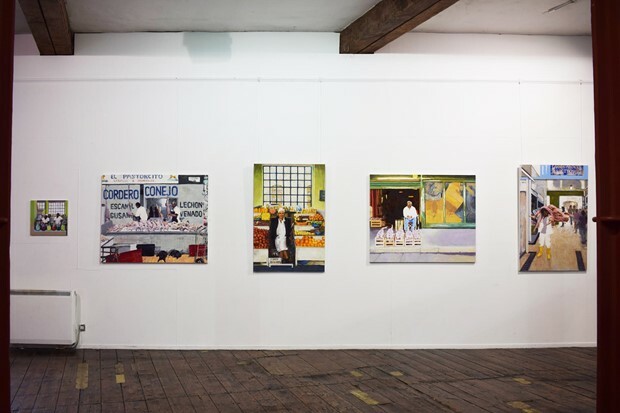 In autumn 2014 I curated IN THE CITY at the Lion and Lamb, London, including artists Mark Crofton Bell, Trevor Burgess, Stephen Carter, Aida Rubio Gonzalez, Marguerite Horner, Matthew Krishanu, Lee Maelzer, Jock McFadyen and Tanmoy Samanta. Catalogue introduction by Robert Harbison. An expanded version of IN THE CITY toured to the East Gallery, Norwich University of the Arts and the Stephen Lawrence Gallery, University of Greenwich in autumn 2018. I also co-curated with Marguerite Horner, Inner and Outer Worlds at Bermondsey Project Space in 2018 and, with Alexandra Baraitser, This Instead of That at ArtHouse1 in 2019. 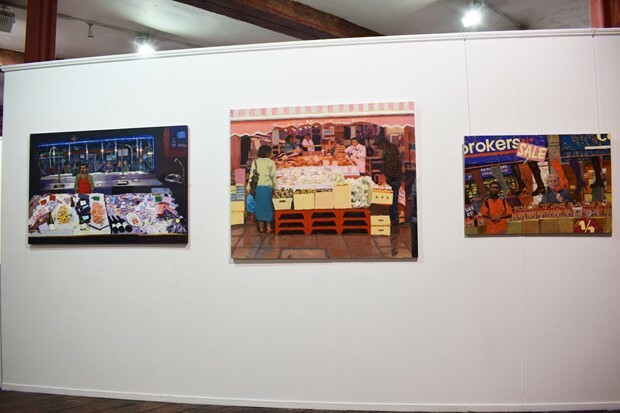 In 2016 I held a solo exhibition of "The Market Paintings" at the Menier Gallery, London. In 2018 my interview with the artist John Kiki was published in Turps Banana #19. I participated in a number of exhibitions and held a solo exhibition In Deptford at Deptford Does Art, London. In 2019 my work was selected for the Lynn Painter-Stainers Prize and selected by Sacha Craddock for the Creekside Open 2019 at APT Gallery.